Intolerance – by Oodgeroo Noonuccal. A poem about bigotry and the horrors it creates for the people it is perpetrated against. There is copyright on this and can not be shown here. To read click the link. During the 1960s she emerged as a prominent political activist and writer. 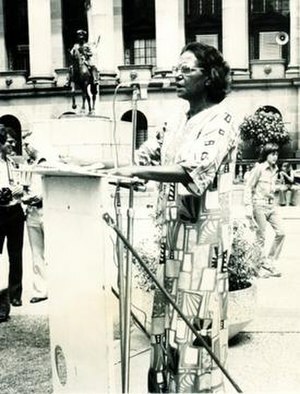 She was Queensland state secretary of the Federal Council for the Advancement of Aboriginal and Torres Strait Islanders (FCAATSI), and was involved in a number of other political organisations. She was a key figure in the campaign for the reform of the Australian constitution to allow Aboriginal people full citizenship, lobbying Prime Minister Robert Menzies in 1965, and his successor Harold Holt in 1966. At one deputation in 1963, she taught Robert Menzies a lesson in the realities of Aboriginal life. After offering the deputation an alcoholic drink, he was startled to learn that in Queensland he could be jailed for doing the same thing. The scrubs are gone, the hunting and the laughter. The eagle is gone, the emu and the kangaroo are gone from this place. The bora ring is gone. This entry was posted in Aboriginal Wisdoms and tagged Aboriginal, Aboriginal Australians, Harold Holt, Indigenous Australians, Oodgeroo Noonuccal, Queensland, Robert Menzies, Torres Strait Islander. Bookmark the permalink. Beautiful Words From Christopher Poindexter. NARGIZ ZAKIROVA - Still Loving You!